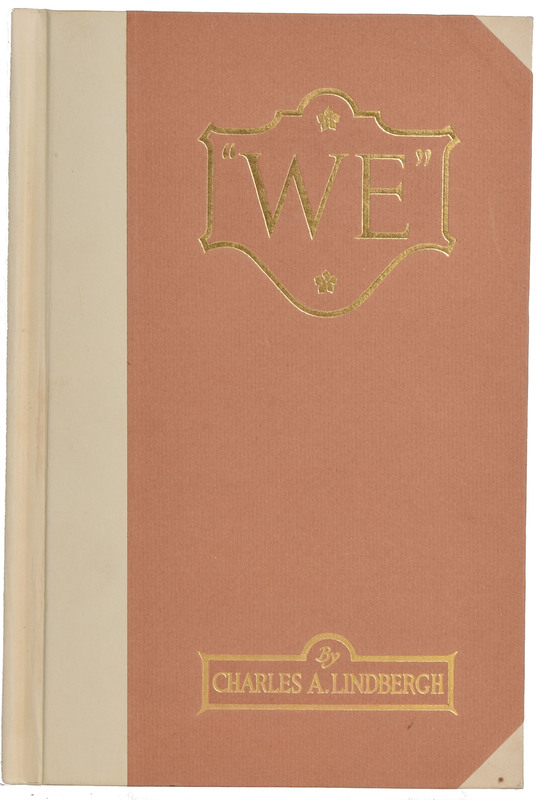 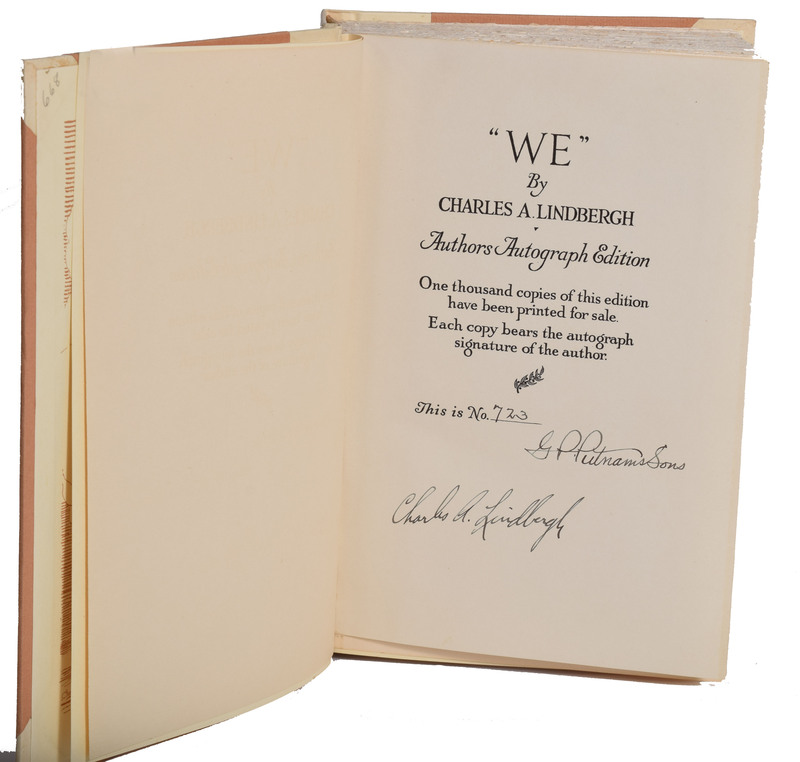 Signed book: We. Authors autograph edition, limited issue, numbered 723/1000. 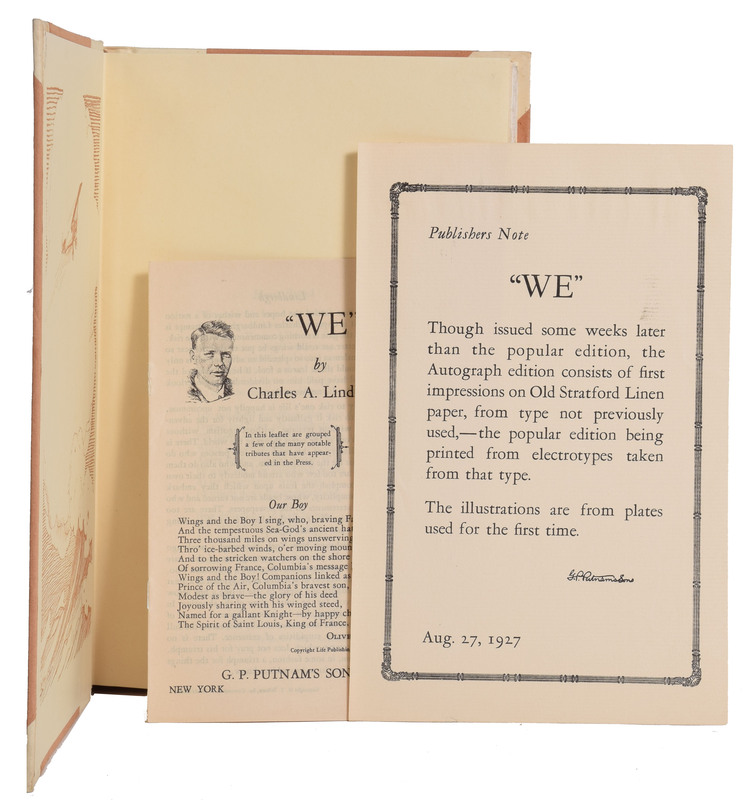 NY: G. P. Putnam's Sons, 1927. 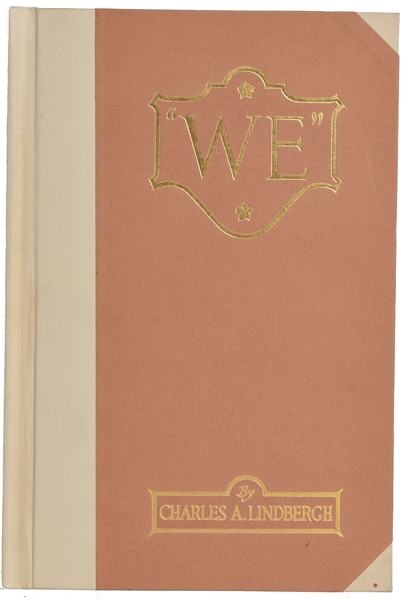 Hardcover, 6.75 x 9.75, 308 pages. 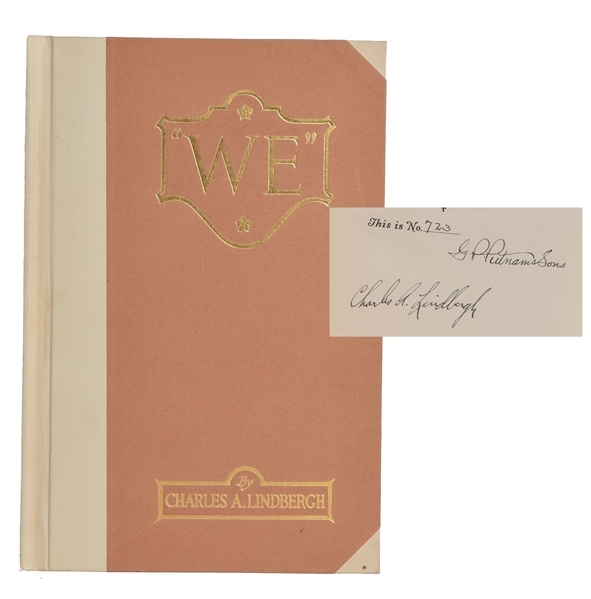 Signed on the colophon in fountain pen by Lindbergh, "Charles A. Lindbergh," and by the publisher.Fine condition , very clean copy! Also include original publisher information and promotional material for the book.